Dangerous nitrate levels in drinking water could persist for decades, increasing the risk for blue baby syndrome and other serious health concerns, according to a new study published by researchers at the University of Waterloo. Nitrogen fertilizer applied to farmers' fields has been contaminating rivers and lakes and leaching into drinking water wells for more than 80 years. The study, published this week in a special issue of the journal Environmental Research Letters, reveals that elevated nitrate concentrations in rivers and lakes will remain high for decades, even if farmers stop applying nitrogen fertilizers today. The researchers have discovered that nitrogen is building up in soils, creating a long-term source of nitrate pollution in ground and surface waters. "A large portion of the nitrogen applied as fertilizer has remained unaccounted for over the last decades," said Nandita Basu, a professor in the Department of Earth and Environmental Sciences and Civil and Environmental Engineering. "The fact that nitrogen is being stored in the soil means it can still be a source of elevated nitrate levels long after fertilizers are no longer being applied." Their paper presents the first direct evidence of a large-scale nitrogen legacy across the United States' Mississippi River Basin. Forced to invest millions of dollars to upgrade their water treatment plants, Des Moines Water Works, Iowa's largest drinking water utility, is currently suing three upstream counties for failing to address harmful surface-water nitrate levels that are more than twice the US federal drinking water standard. Such nitrate concentrations are likely to remain stubbornly high, according to the Canadian research team. 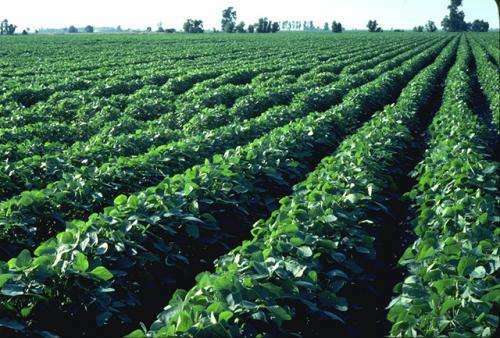 "We hypothesize that this accumulation occurred not only because of the increased use of fertilizers, but also increases in soybean cultivation and changes in tillage practices over the past 80 years," said Kim Van Meter, a doctoral student in the Department of Earth and Environmental Sciences in the Faculty of Science. Their modeling results suggest that this nitrogen legacy could still be leaching into waterways more than three decades after nitrogen is no longer being applied to fields. Similar to phosphorus, nitrogen is a limiting nutrient for plants and when applied as fertilizer helps increase crop yields. Unfortunately when too much nitrogen is added, the excess enters waterways, causing hypoxic conditions such as the Gulf of Mexico's massive dead zone and threatening drinking water quality. Exposure to excessive nitrate in drinking water causes serious health problems, including Methemoglobinemia or blue baby syndrome in infants. Since the 1970s, farmers and policymakers alike have worked hard to reduce the amount of fertilizer leaking from agricultural fields to groundwater and nearby lakes and streams. Yet in some rural areas, nitrate levels have been found to be more than ten times the drinking water standard. "The presence of this legacy nitrogen means it will take even longer for best management practices to have a measurable benefit," said Professor Basu, also a member of the Water Institute. "If we're going to set policy goals, it's critical we quantify nitrogen legacies and time lags in human impacted landscapes." Basu and other researchers at the University of Waterloo are currently exploring nitrogen legacies across North America as well as at the global level. Note it is not a created or developed source. Lots of mistakes are made in the advancement of civilization. The misuse of fertilizers came about as part of the advancement of food production which was necessary because of population growth. Modern farming has come a long way toward developing techniques to greatly reduce the amount of fertilizer and chemicals being applied to fields which is actually more cost effective. But, to be fair, there are other sources of nitrogen besides just farming. Nitrogen that is released into the air as pollution gets washed into the soil when it rains. High nitrogen fertilizer is applied in massive amounts to yards and golf courses which is causing a lot of the runoff problems. Also, development has destroyed a lot of the forests and prairies that naturally use the nitrogen in the soil. So, it's going to accumulate and wash into rivers and streams. Farming is changing. What is being done about the other causes? Humans have transformed 30% of the Earth's non-ice covered land for agriculture and grazing of livestock. Humans outweigh all wild prey, not exactly an ecologically safe place for a top predator. Nothing we are doing is sustainable. We've already caused enough change to the Earth that the consequences include having a biosphere no longer viable for human life. We'll be going extinct. Not long from now. 100 years or less, and NOTHING you or anyone else can do about it. The only thing we've sustained is having boatloads more kids, since we can grow enough food and catch enough fish. www.vhemt.org - be a volunteer, let's "Live long and die off". It's immoral to have children by anyone, anywhere, anymore.